We love a good celebrity/brand collaboration, and this one is super exciting. Electro-pop diva Santigold is back with a makeup collection for Smashbox. We can't imagine a better fit for a makeup line, since we've been coveting Santigold's daring style ever since she first hit the music scene. And now we can channel her as easily as you can hail a cab and say "Get me to Sephora, stat!" Santigold's 11-piece collab has been in the works since 2012 and will finally be released for our consumption on April 1. The concept behind the line? Post-apocalyptic rebirth. "We came up with this idea of the Santigolden Age," the singer told Vogue. A new Golden Age inspired by Santigold? Count us in! 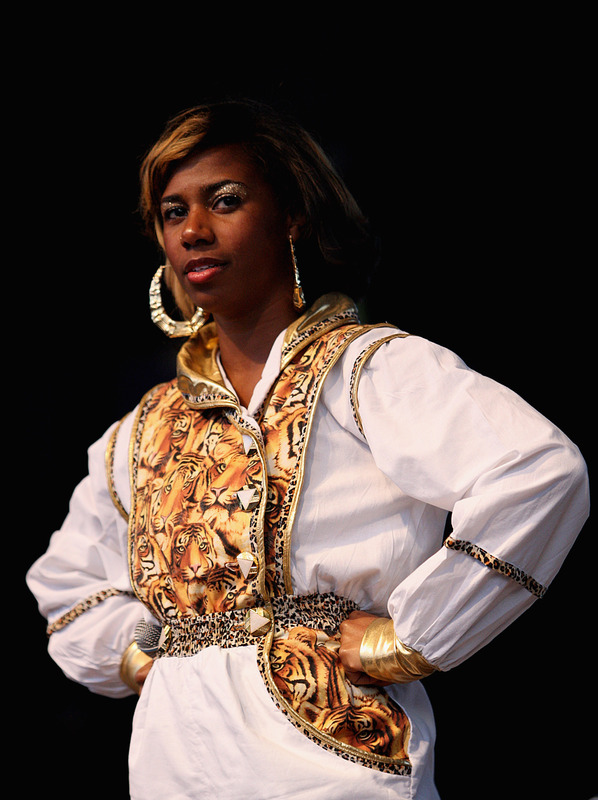 According Vogue, makeup was a natural progression for Santigold, who had found her own beauty wares lacking at the time Smashbox first approached her with the idea for the collaboration. She sought to make her own line accessible for all women. "As a brown-skinned person, there is so much makeup that does not work for me. This collection looks good on all different skin colors, and that was something that was important in designing it." So what can we expect from the collection? "[S]eeing-eye nail designs, a gilded pyramid ring that conceals a pot of lipstick, and two eye-shadow compacts featuring her own serpentine artwork on the covers." The color palette is a very Egyptian blue and gold, inspired by Elizabeth Taylor as Cleopatra.